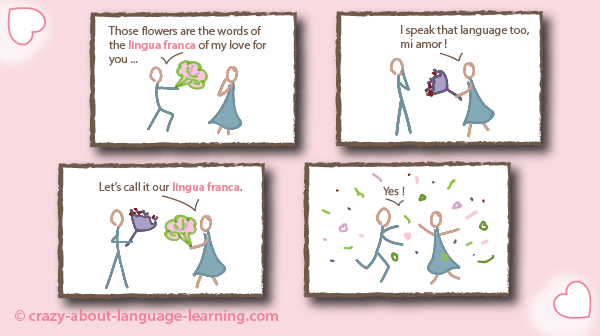 What is a lingua franca ? A lingua franca is a language people of a region usually use with one another when their respective first languages are not the same. It's the language everybody speaks, the one you try a few words in when you meet a person who doesn't seem to understand your own language. That's the language used by tourists, international salespersons, diplomats, scientists, politicians when they are in visit in foreign countries, etc. English is for sure the global lingua franca of our times. It is used in about every part of the world in touristic, commercial, scientific and diplomatic discussions. The other most spoken languages don't qualify for the global lingua franca title, but surely for some region of the world. Nowadays, Spanish for example (which is by the way most often called ‘Castilian' in Spain) is the official language in twenty countries. This is quite impressive, but it still doesn't qualify Spanish for the global lingua franca title as it is not that much used by people in countries that don't have Spanish as their official language. It's a regional lingua franca. As far as lingua francas are concerned, the region concept is obviously covering countries, not only a few towns and villages. In East Africa (a very big region including Tanzania, Kenya, parts of Somalia, the Comoros, Uganda, Rwanda, Burundi, the Democratic Republic of Congo and Mozambique), Swahili plays the role of … yes, you guessed it, of vehicular language ! – Hakuna matata means ‘no problem'. – A safari is a journey. Do You Know the synonym of ‘lingua franca' ? Hindi is spoken by millions and millions of people. This Indo-European language is spoken by around 380 million people and is sometimes called the lingua franca of the Hindi belt. Arabic in the same way is spoken by about 420 million people both native and non-native. We can speak of the “lingua franca of the Arabic world”. Chinese is another very widely spoken language, but it is different from the four cited previously in that it has a good chance of becoming the global lingua franca of the future. Have you ever been to a Chinese shop in your neighborhood ? 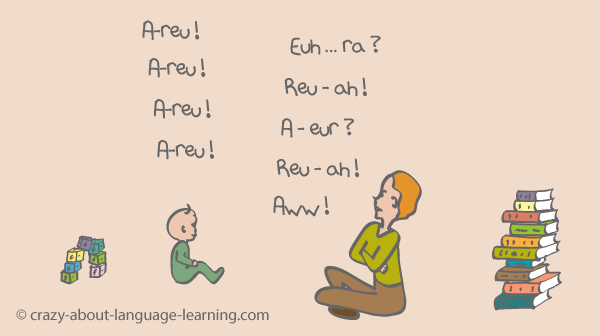 Well, that's the warning sign of a lingua franca in the making. The Chinese population is expanding, its international commercial adventures too and therefore the number of persons speaking Chinese too. More and more young people outside of China are learning Chinese not because they intend to go visit China, but mainly because they think they will need to be able to communicate in this language in the future and that it would thus look nice to show off this competence on their resume ! Here is a list of all lingua franca languages over the world. So … English is the global LF of our times. Chinese may well be the one of the future, but history has taught us that, given enough time, they are both going to disappear ! OK, maybe, maybe history is not going to repeat itself this time. Printing and the internet may make it more difficult for history to roll its timeline on languages of our times as it did on ancient ones. Even though Sumerian was most certainly the lingua franca of its time in the South Mesopotamian region and was written in cuneiform, it still came to be completely forgotten until not long ago. (No, we don't know when Sumerian started to be forgotten ; nobody can remember that …;-). The discovery of Sumerian came in two steps. 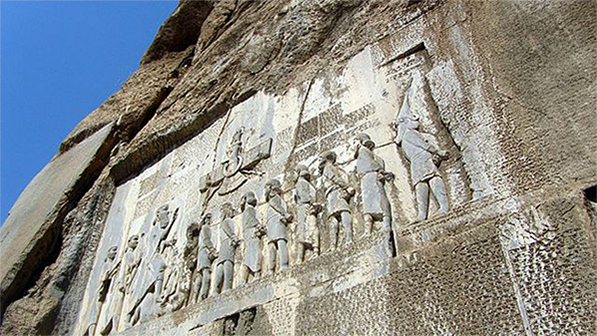 First, all along the nineteenth century, we decyphered cuneiform writing thanks in good part to the Behistun inscription. Located one hundred meters high on a cliff in Iran, this 15-by-25-meter stone inscription was written in three languages, Old Persian, Elamite and Babylonian. All three in cuneiform. The second step of the discovery of Sumerian came about in the 1850s. New inscriptions were found in Mesopotamia and Assyriologists came up with the idea of it being yet another language written in cuneiform. In 1869, Julius Oppert was the first to call it Sumerian. The Sumerian people themselves called it eme-ĝir, meaning ‘native tongue'. It is now well studied, grammar-wise and all. Latin in its time had the catholic church on its side, but starting in the sixteenth century, it still came out of use (the language, yes, not the religion). Thanks to the spread of the Roman empire however, it had been spoken and written all across Europe, in a good part of Asia and in North Africa during centuries. Nowadays Sanskrit is still used as a liturgical language for hinduism, but in its heyday, it was the lingua franca in India and Nepal. To end this worldwide linguistic tour of linguas francas in beauty, let's talk a little about those vehicular languages that are not well-structured, centuries-old languages. Some linguas francas are indeed pidgins ; that is, very basic languages based on the vocabulary and the grammar of one or several others. 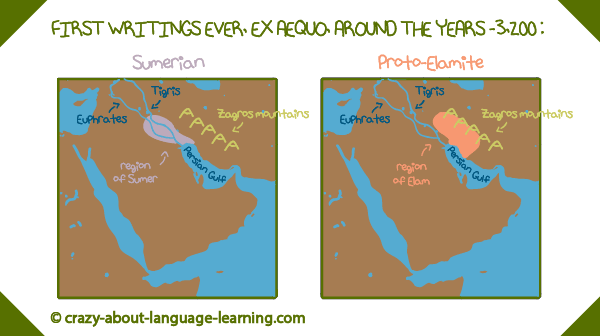 1 In fact, the Proto-Elamite language disputes this ‘oldest written language known' title to Sumerian. I moreover “heard” about the Fanakalo language in a book by James A. Michener, L'Alliance. I read it in French, but you have it as The Covenant in English. It's an historical novel which narrative weave is located in South Africa.